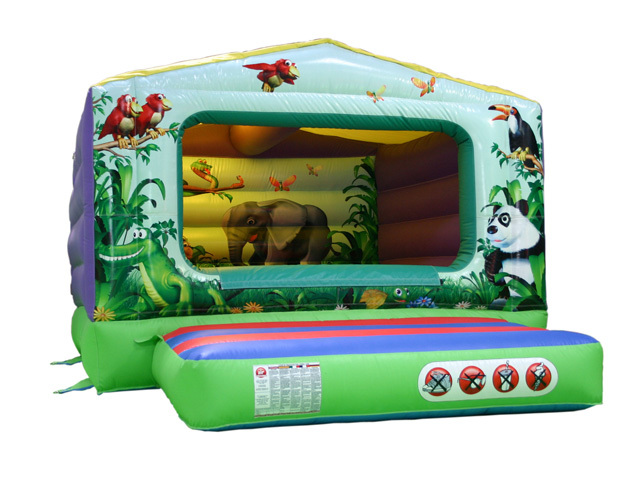 With beautiful images of a jungle theme, this bouncy castle is perfect for young boys or girls. This castle has a fitted rain cover and can therefore be used in all weather. This unit is perfect for low indoor venues as it has a low roof being just 7.5ft tall. Suitable for children aged 7 and under. 11ft Wide x 14ft Length x 7.5ft High. ** Free Delivery & Free Collection is available to those in Cambridge or Bedford. We may deliver outside of these areas but there will be a small surcharge towards fuel costs.